When it comes to the place you were born, many people get stuck quoting Thomas Wolfe and say “you can’t go home again.” I once thought that was true, but I now reject the whole idea out of hand. It all started in the summer of 2001, when I was gaining my gardening confidence in the Hampton Victory Garden. I had run into a few friends from high school at the Moxie Festival and we started talking about organizing our 20th high school reunion, scheduled for 2002. That fall, I began coming home a lot to plan the reunion and noticed how lovely the flowers and plants were all over town. Apparently, these gorgeous gardens were the work of The Green Thumb Gang and I recalled seeing their float in the Moxie parade. This gang, formed in 1997, was a creation of my friend, Faye. Faye was the coach of my summer softball team, Faye’s Clippers, and I’d known her forever. She has a bumper sticker that says “Question Authority” and sometimes, she gets to O’Pa’s rhubarb before I do. It’s ok, because she is family. I loved the idea of The Green Thumb Gang. I had a lot of fun at my 20th reunion. It made me want to spend more time at home and so I did. One summer night after the reunion, I was taking a walk down Summer St. 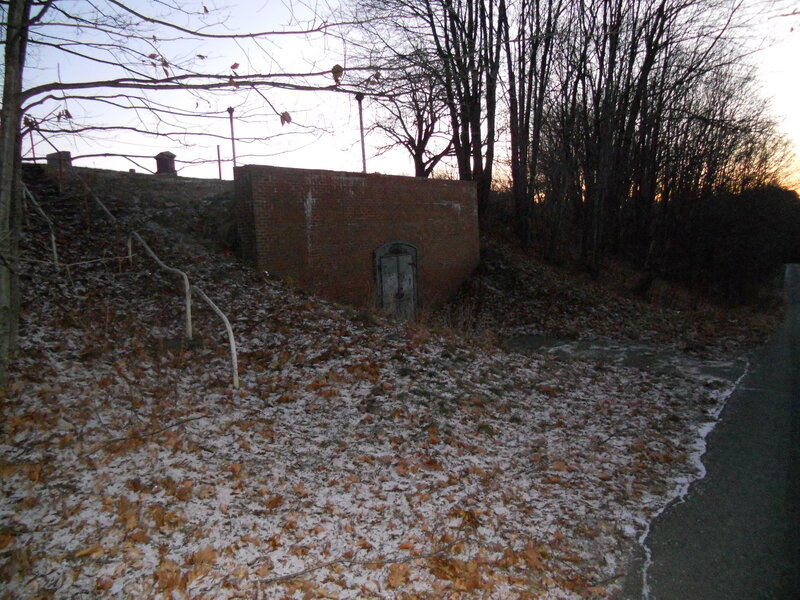 I started the right hand turn onto Maple St., to climb the hill behind the cemetery and the tomb. It’s a good hill no matter which way one walks it and on a clear day an observant person can see the White Mountains from the top. It’s one of my favorite places in town. This night, though, I stopped and looked at the T-intersection at the bottom. It was a sorry clump of grass and weeds. I convinced Faye I would be no burden to her or The Green Thumb Gang and she interceded on my behalf with the town, telling them a new garden was being created. Public Works mowed the grass down and construction began in the spring of 2003. It was a lot of work and I had a lot of help. My first step was to build up the soil level and Faye suggested I visit a local compost facility. My father would give me a ride there in his truck and I would fill up big plastic tubs with compost; I’m sure the owner must have gotten sick of my visits that spring; I reminded him he was making the world a better place, and he never refused my requests for compost. Then I needed big rocks to build a primitive wall around the beds. My chauffeur, I mean, my father, would bring me up to a little rock pit in the industrial park; no one ever missed any of the rocks we hauled off. Once everything was in place, my mother donated quite a few perennials. 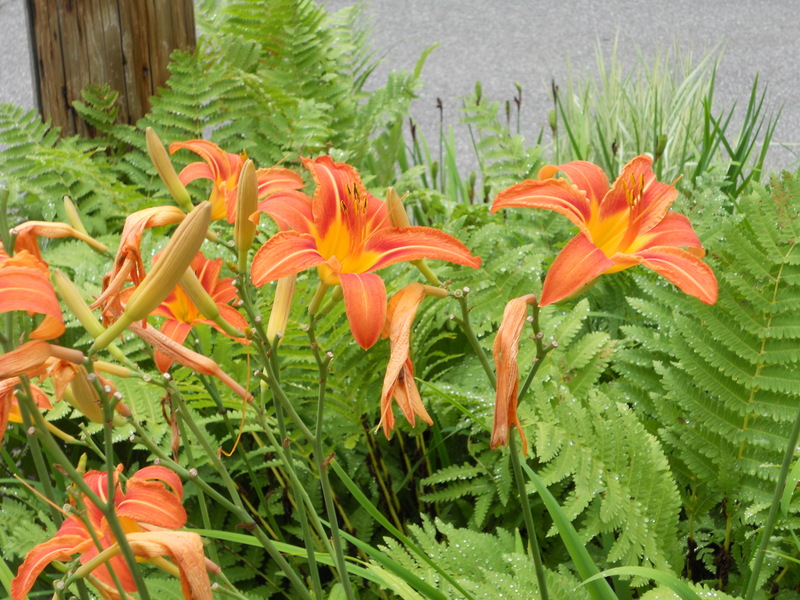 Siberian iris, primrose, Tiger Lilies, and ferns from the farm were the foundation. I bought some Autumn Joy (sedums) and lots of annuals like marigolds to fill in the gaps. A garden takes time; sometimes years as things grow into their adult size and shape. Annuals were a good way to wait and see what was going to happen. In spite of the work involved, I was having a lot of fun on that corner. At first, people were surprised to see a woman with a shovel hanging around. Once they recognized me, they started waving. Then, they stopped and talked. One friend would always stop and ask me if I needed a soda. Occasionally, evangelists would walk by and share their worldview with me. I was even asked out on a few dates. A few unpleasant things also happened. Someone once drove their SUV through my garden and crushed a few plants. I have forgiven them. Another time, someone else thought it was a “communal” garden and dug up one of my sedum plants. This same person even returned to dig up my Tiger Lilies. The thief did just as Helen commanded. Helen then called Faye to report the incident and I have never had another problem with vandals or thieves since. I love my little surprise garden. It doesn’t require much work anymore because my perennials have grown up; my mother gave me some Baptisia shoots that ended up filling in a big portion of the garden. 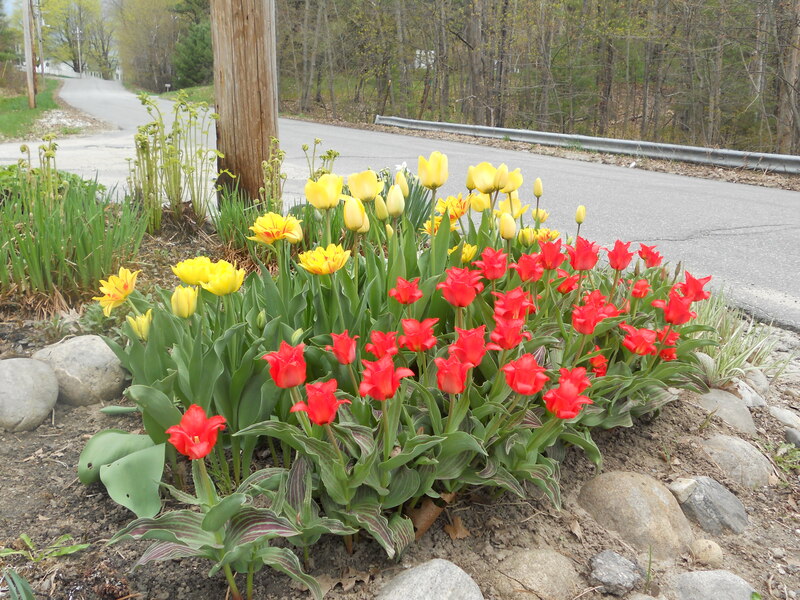 I have a “tulip section” now, too, which pops with color for about a month. This isn’t a political blog, but the whole experience of being free to produce something beautiful without rules and regulations has probably influenced me more than any politician or political philosophy. Through my own voluntary action and the consent and assistance of those who I asked for help, I ended up producing something beautiful. I had brightened a little corner of the world I loved; mission accomplished. I’m glad I’ve been able to give something back to the town that had given me so much freedom to be a creative producer. By the way, you can go home again and don’t forget to wave when you drive by. Thursday: The “All My Gardens” Minimalist post, so I can catch my breath. This entry was posted in Home and tagged Faye the Barber, grateful, Lisbon Falls, Moxie Festival, thank you, voluntary action. Bookmark the permalink. Stop by any time…this garden is for the people, by the people. Just don’t take any tiger lillies! Love this post. It captures the special qualities inherent in Lisbon Falls and why the town pulls us back after leaving it.. Loved this one too! Makes me want to take a ride and go look at the garden. It’s prettiest in the spring and right around Moxie, Lisa. It needs some thinning out this fall because the irises have really sprawled out. Thanks for stopping by the blog!